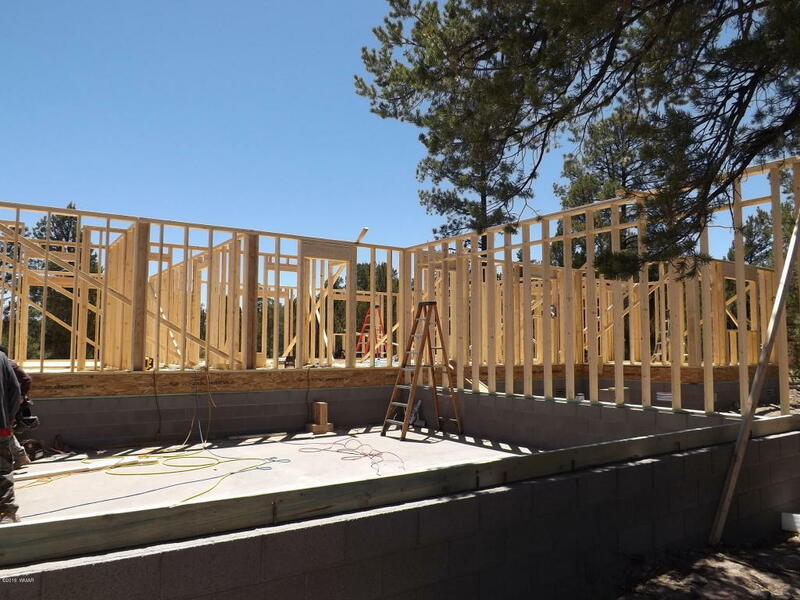 This will be a stunning single level 1800 SqFt cabin on a heavily treed 1.20 acre homesite in Overgaard, AZ. This home will offer a great room design with a stone faced fireplace, granite countertops, porcelain tile, carpet and engineered laminate flooring, travertine in the showers, knotty pine T&G ceiling, knotty alder cabinets, knotty pine interior doors and central heat and AC. The exterior will boast smart side low maintenance siding, composite decking and an attached two car garage.